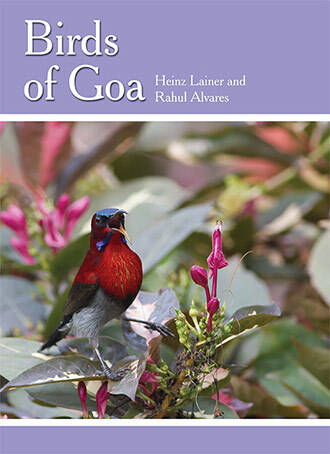 Heinz Lainer – having 35 years of bird watching experience – and Rahul Alvares – snakeman and wildlife photographer – have gotten together to produce this splendid new book on the birds of Goa. This beautiful volume is published by the Forest Department, Government of Goa in association with the Goa Foundation. Birds of Goa is a great combination of science and art. You will find authoritative information on the habitat, population, distribution, migration, breeding status and any other locally relevant data of all the 440+ bird species. It has hundreds of pictures of birds; exquisite, extraordinary, always in action. Paperback. 240 pages. Colour photographs.